Design of a point of sale Foamex board banner that is in-keeping with the company’s branding. 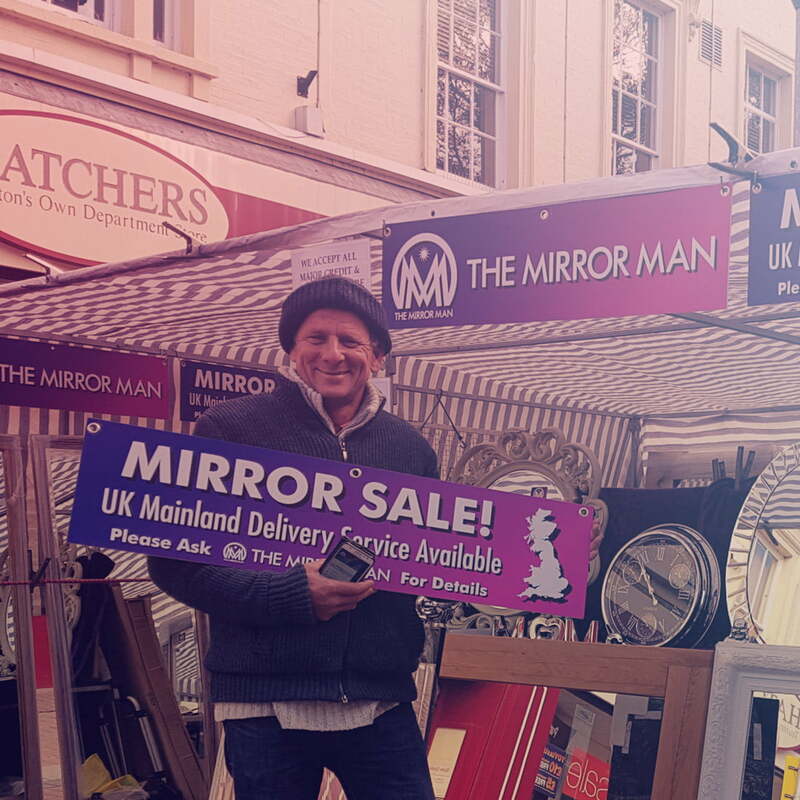 The Mirror Man is a B2C and B2B mirror retailer that has been in business since 2014. The owner Darren Morley got in touch with me wo take his weekly exhibition to the next level, with the idea of developing a full brand for The Mirror Man that would include the creation of point of sale displays. Darren (The Mirror Man) asked me to design 2 display boards that were to be printed onto Foamex. One side presenting The Mirror Man’s logo to raise brand awareness, and the other side of the board to call-out the specialist mirror delivery service that he offers. I used Adobe Illustrator to create the layout and geometrically accurate design of the POS display banners. I followed the company branding guidelines that I had previously created to ensure brand consistency. The signature blue to purple gradient colour fill was used as the background with white text overlaid on top using the ‘Futura’ typeface. ‘Look Daddy! It’s The Mirror Man!’ – It’s surprising how many children passing by the exhibition point out that The Mirror Man is in town. With the catchy colour combination placed all around the stand it’s clear and easy to see. Darren has received compliments about the branding in the past. Although it is currently untested – he is sure that it has increased his sales volume.